The Philippine Navy sent off a warfare vessel with a 400-man contingent to participate in the international fleet review to be held in China to mark the 70th anniversary of the Chinese People's Liberation Army (PLA) Navy on April 23, the Philippine Navy spokesperson said on Tuesday. Jonathan Zata, the Philippine Navy spokesman, said the Philippine Navy strategic sealift vessel BRP Tarla, which left Manila on Monday, is expected to dock in eastern China's coastal city of Qingdao on April 21. The Philippine Navy ship will be joining vessels from other participating navies in Asia and other parts of the world. April 23 is the 70th founding anniversary of the PLA Navy. 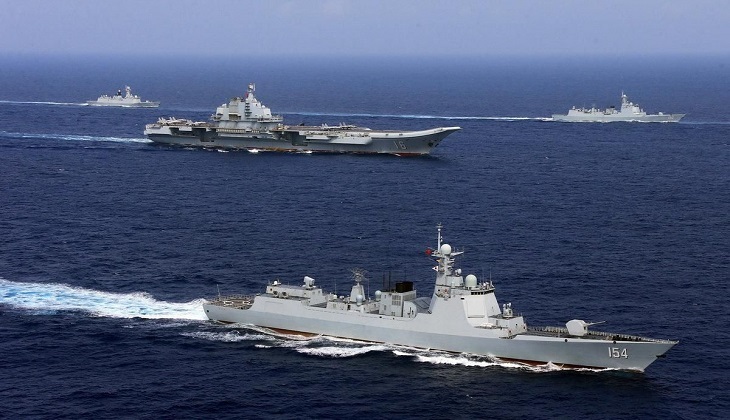 According to China's Ministry of National Defense spokesperson, over 60 countries and regions have said they would send navy delegations to participate in the multinational navy event. The celebration will include various activities, including high-level symposiums, an international fleet inspection, joint military music display, cultural and sports exchanges, among others. "During their stay in Qingdao, the contingent is scheduled to participate in various activities, such as courtesy calls, professional exchanges, shipboard reception and tour, friendly games and cultural exchanges," Zata added. Philippine Navy Vice Admiral Robert Empedrad said this visit will build trust between PLA Navy and the Philippine Navy. BRP Tarlac, one of the largest Philippine Navy ships in service, has an overall length of 120 meters, breadth of 21 meters. The ship can carry 500 troops, two rigid-hull inflatable boats, two landing craft units and three helicopters.